Display your favorite hummingbird feeder or garden lantern from a branch with help from the Parasol "S" Hook. The classic shape and curves on this unit bring a timeless look to the hook, while creating a functional hanger. 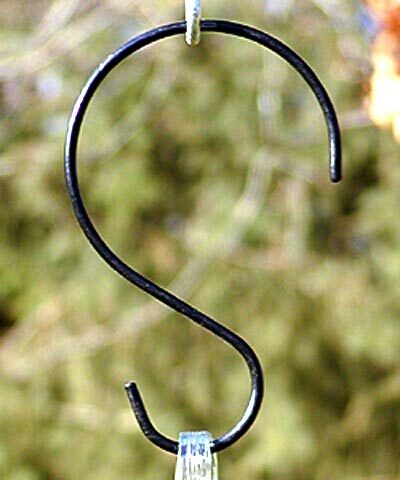 The larger top hook fits over branches or other hangers up to 4" in diameter, and the smaller, bottom hook holds your feeder. The black color blends with any surrounding, and the steel construction forms a sturdy hanger. Place your favorite hanging items with ease using this "S" Hook.